Earlier in the week I reviewed two less than average films that attempted to bring the superhuman team, the Fantastic Four, to the big screen. 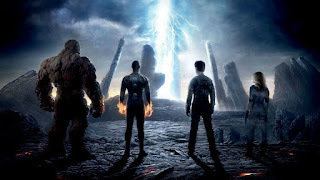 The third attempt titled Fantastic Four (or Fant4stic as it’s referred to in all the marketing) is the latest in a series of disappointing films about Marvel’s first family. Expectations for the movie were at an all time low, and the film still managed to fall flat and disappoint in every imaginable way. Reed Richards (Miles Teller) is a pretty smart kid, a genius really, and sets out to invent teleportation. And with the help of his new buddy Ben Grimm (Jamie Bell) he is able to accomplish this at the young age of only ten years old. Over the next seven years, tinkering with the device allows the two to almost perfect the process, enough to get noticed by Dr. Franklin Storm (Reg E. Cathey) and his daughter Susan (Kate Mara). With their help and some good old government funding Reed sets out to truly perfect the teleportation process. With some help from the reluctant Johnny Storm (Michael B. Jordan) and the slightly batty Victor von Doom (Toby Kebbell), Reed and the team finishes this inter-dimensional transporter. And thus everything goes downhill from there. Honestly the first part of the film isn’t terrible. Certainly not good, but its somewhat passable. The characters are introduced in a good way and the science is actually somewhat interesting. But once they complete this machine that will transport them to ‘Dimension Z’, all logic goes out the window. These supposed smart characters immediately start making dumb decisions, like going into the machine with no training at all or any supervision of any kind. It devalues exactly how smart they’re supposed to be by making them extremely careless in that regard. The character development is some of the worst in recent memory, as every member of the cast is one dimensional to the highest degree. Reed is simply the smart guy, Sue is good with patterns and kind of smart too and Ben is angry with Reed, despite Reed doing nothing wrong. The only character who has any sort of personality is Johnny. There are some slight undertones of jealously towards his adopted sister and a little resentment towards his father, but this is truly scraping the bottom of the barrel. No one, and I mean absolutely no one, is into his or her respective roles. Every actor is going through the motions as if they know how terrible their lines of dialogue truly are. That’s not even the biggest issue in terms of the script either. 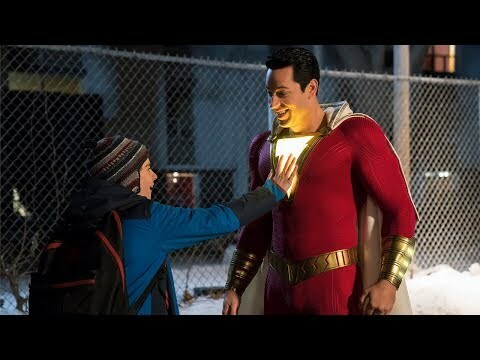 The story is just incoherent and boring, often not making any sense and not spending enough time in scenes to develop any attachment to these characters. 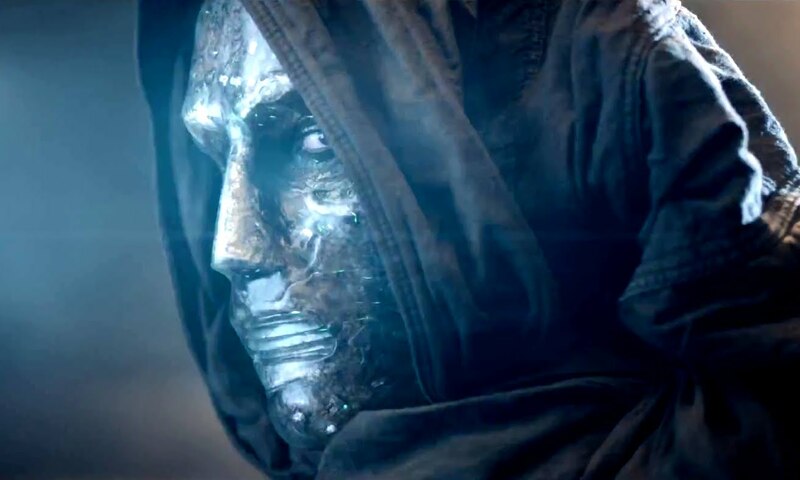 And then there is Dr. Doom himself. Somehow they, the filmmakers, have managed to screw up the villain even more than before. After a very untimely accident in the first act, he isn’t seen again until its time for the climax. When he is finally brought back into the fray, his actions make zero sense. Sure his character didn’t like people and what was happening to the Earth, but all of sudden he wants to end the world in some big anticlimactic fashion. The film has no problem getting there either, as it is so rushed it completely skips its second act and heads straight for the big battle at the end. The finale is dull and resolved so quickly it leaves you wondering whether the movie is actually ending. Doom, having just come back to wreak havoc, is taking people out one by one without even lifting a finger, possessing almost god-like powers. However when he faces the titular team, those powers magically fade away. Not only is he defeated, but it’s almost laughable how easily the team is able to dispose of the villain. Just like that, five minutes after being introduced, the villain is dead and gone, leaving the film with a very abrupt end. Fant4stic features many laughable moments in fact. The CGI is awful in some parts including a magical disappearing tank and a facial change that looks straight off of the ScyFy channel. The Thing does look good however, far and away better than the previous films interpretation. The film carries no emotional weight or stakes and scenes that are meant to be serious provide humor instead. Not intended humor, but ‘Wow I can’t believe how bad that is’ humor. The intended humor isn’t really there at all, as it would clash with the dark and devoid of fun tone the film has.